Ukraine: MARUV will wave the Ukrainian flag in Tel Aviv! 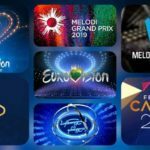 Moments ago, the final of Ukraine’s national selection, Vidbir 2019, was completed. Out of the six acts competing in tonight’s semi-final, MARUV was selected as the winner! The host of the show was Serhij Prytula. 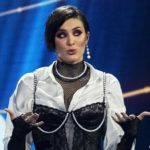 The results were determined by the public (50%) and a jury panel (50%) made up of: Jamala (Eurovision 2016 winner), Andrij Danylko (Eurovision 2007), & Yevhen Filatov (singer and producer). Therefore, MARUV will represent Ukraine at the Eurovision Song Contest 2019 ion Tel Aviv, Israel!